These cables are used in general purpose wiring in circuits not exceeding 2000 volts. 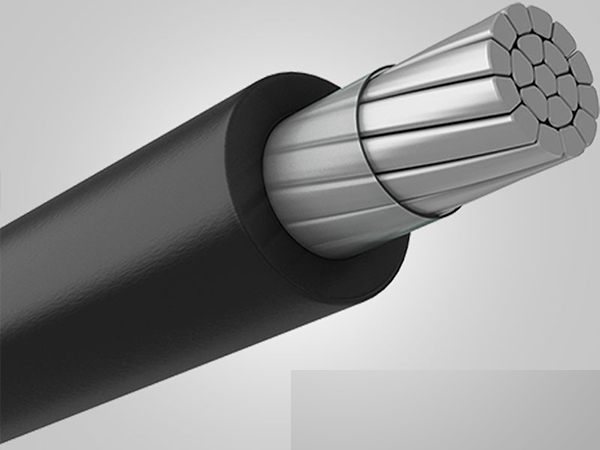 Aluminum AA-8000 alloy compacted conductor, Class B stranding, per ASTM B801. Soft-annealed uncoated copper compressed Class B stranding, or unilaycompressed per ASTM B8, solid wire per ASTM B3. 6 AWG – 1000 kcmil On request, larger sizes available. A suitable opaque tape, as required. Black Thermoset flame retardant cross-linked polyethylene (XLPE). May be used in wet or dry locations, installed in raceway, duct and aerial installations. For exposed wiring in wet locations, or exposed to weather. For use in raceways, except cable trays, in wet locations.